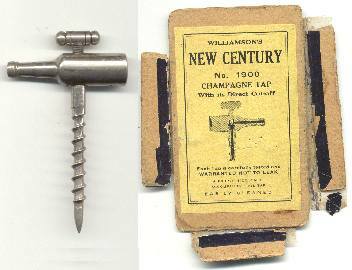 Williamson's New Century champagne tap. With box. 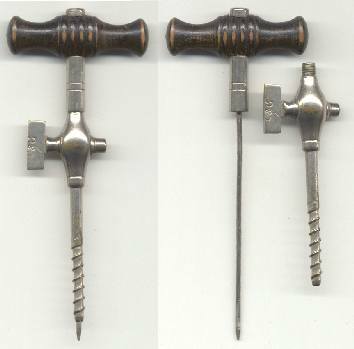 A champagne tap with a side handle marked C&G. Wooden handle and trocar.